BEIRUT, Lebanon – The UN Security Council backs a push for Syrian peace talks Tuesday in a rare show of unity after widespread condemnation of regime air strikes that killed nearly 100 people. Analysts say the vote was a sign of new resolve to address Syria’s conflict, particularly as the threat of the Islamic State group grows, but caution that it was only a first step and vast differences between the two sides remained. The Security Council statement, the first of its kind in two years, urges a political transition and backs a plan to create working groups to discuss ending the war that has killed over 250,000 since 2011. It is approved hours after UN officials, including the organization’s peace envoy for Syria Staffan de Mistura, expressed horror at regime air strikes that killed nearly 100 people in a rebel-held town near Damascus. Former justice and foreign minister MK Tzipi Livni, now number-two in Zionist Union, is appointed head of a new Knesset subcommittee on international legal challenges to Israeli policies. Dubbed the “lawfare subcommittee,” the new body is part of the Knesset’s powerful Foreign Affairs and Defense Committee. BAGHDAD, Iraq – Former Iraqi premier Nuri al-Maliki Tuesday dismisses as “worthless” a parliamentary report blaming him and others for the jihadist takeover of the city of Mosul last year. “There is no value in the result that emerged from the parliamentary investigation committee on the fall of Mosul, which was dominated by political differences and was not objective,” Maliki says on his Facebook page. “What happened in Mosul was a conspiracy planned in Ankara, then the conspiracy moved to Arbil,” Maliki says in a second post, referring to the capitals of Turkey and Iraq’s autonomous Kurdish region, both long-time foes of his. The two-term premier is currently in Iran, where he is due to meet Supreme Leader Ayatollah Ali Khamenei on Tuesday, an official in his office says. The Islamic State jihadist group seized Mosul in June 2014, then overran a third of the country in a devastating offensive that swept security forces aside. Prime Minister Benjamin Netanyahu visits the northern border on Tuesday. “We are prepared for every scenario,” he says. “Anyone who tries to hurt us, we will hurt them,” he adds, a reference to heightened terror activity on the Golan and increased Hezbollah and Iranian activity on Israel’s border. 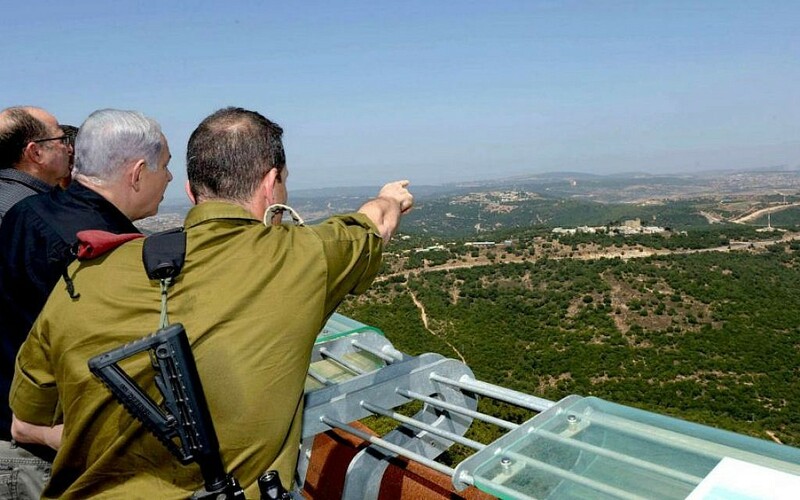 After concluding the visit, Netanyahu says he was impressed by the preparedness and determination of the troops. Defense Minister Moshe Ya’alon says Tuesday that the Golan theater is restive, and that Iran is working to destabilize the region. A Palestinian hunger striker unconscious since the weekend wakes up from a medically induced coma and his condition is stabilized, doctors treating him say Tuesday. Mohammed Allaan has refused food for 63 days to protest his incarceration in Israeli administrative detention, which allows the state to hold prisoners indefinitely as a preventative security measure when intelligence suggests they are involved in terror activities. He was previously described as near death before doctors at Barzilai Medical Center in Ashkelon treated him with an infusion of liquids and salts. 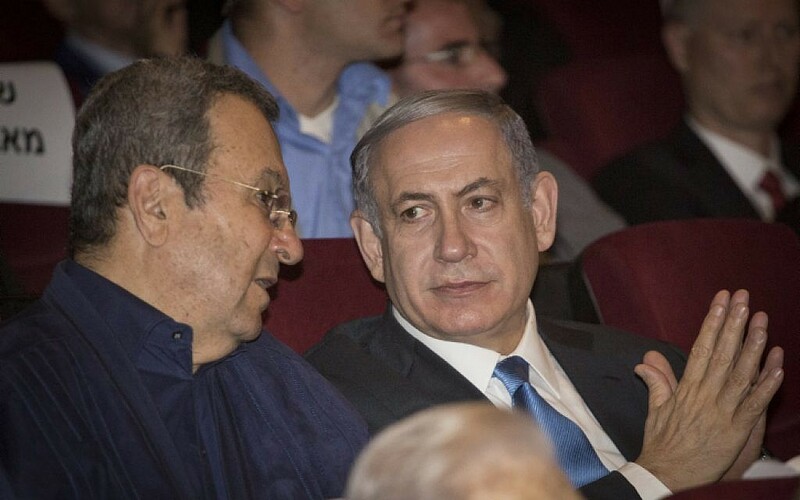 Police are examining suspicions former premier and defense minister Ehud Barak failed to report money he held in a bank outside the country. According to the business journal Globes, the police’s elite fraud unit and the Israel Money Laundering Prohibition Authority are investigating possible tax evasion via the account. No formal investigation is underway, the paper reports, but the preliminary look into the matter is being overseen by Israel’s highest law enforcement officials, Attorney General Yehuda Weinstein and State Attorney Shai Nitzan. The space administration in the Defense Ministry signs an agreement with the US Strategic Command to share information on launches and space assets to prevent collisions. US agencies will give 96 hours’ warning of detected potential collisions, the Globes business journal reports. The US has such agreements, known as Space Situational Awareness (SSA) data-sharing agreements, with many countries and space agencies, including the UK, Germany, Canada, France, Japan, Australia, the European Space Agency and others, including 49 corporations linked to space-based assets in 18 countries. 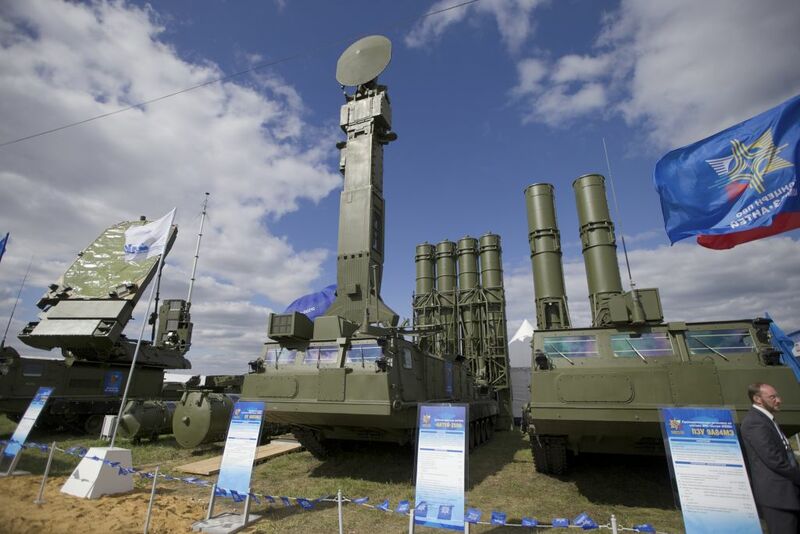 Russia and Iran are set to sign a contract next week for the purchase of four S-300 surface-to-air missile systems, Iran’s Defense Minister Hossein Dehghan says. The system is among the most advanced in the world. Israel fears it could help give Iran the ability to fend off possible airstrikes against its nuclear program. 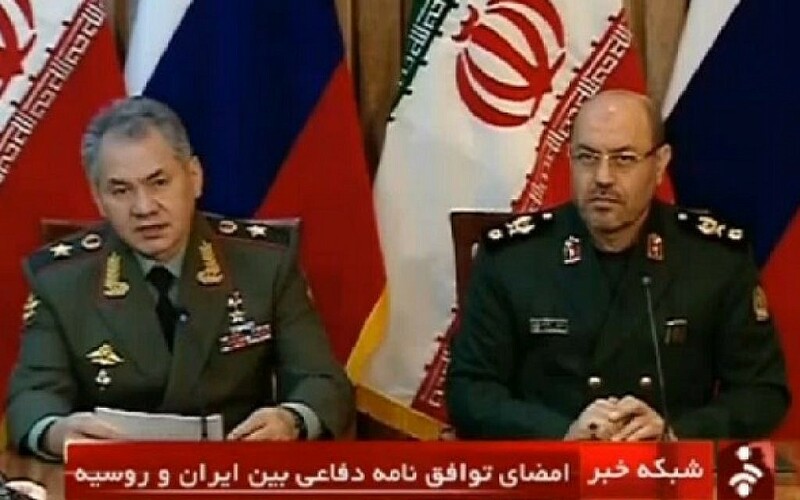 “The text of the contract is ready and our friends will go to Russia next week to sign the contract,” Dehghan says, according to Reuters quoting the official Iranian news agency Fars. The sale of the systems to Iran was canceled in 2010 in keeping with international sanctions against Iran’s nuclear program. With the signing of a nuclear deal between Tehran and world powers last month, Moscow has lifted the ban. 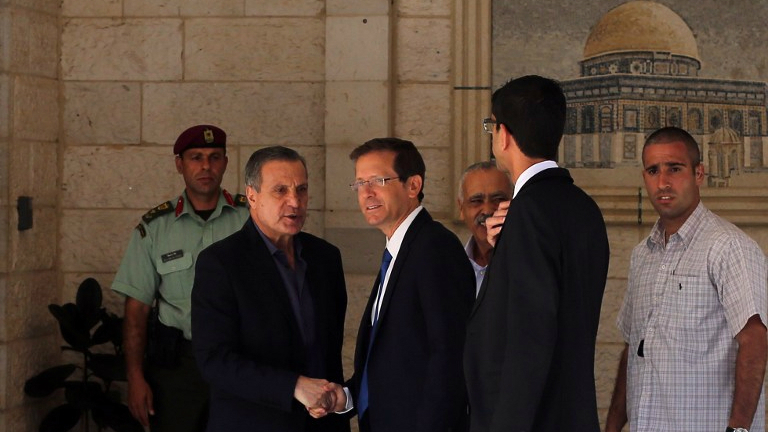 Opposition leader MK Isaac Herzog talks security with Palestinian Authority President Mahmoud Abbas. Herzog meets Abbas “for over an hour, one-on-one, for a deep conversation,” says Herzog after leaving Abbas’s Ramallah office. 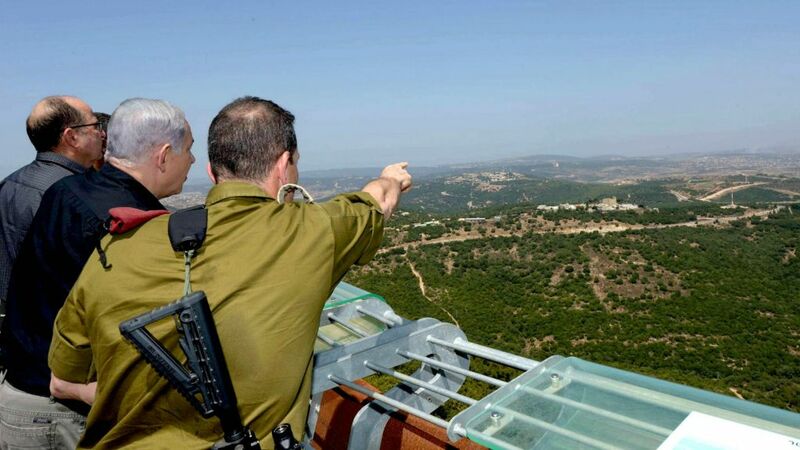 The Golan Heights are likely to see growing conflict, Defense Minister Moshe Ya’alon says Tuesday on a tour of the northern border together with Prime Minister Benjamin Netanyahu, IDF Chief of Staff Gadi Eisenkot and IDF Northern Command chief Aviv Kochavi. 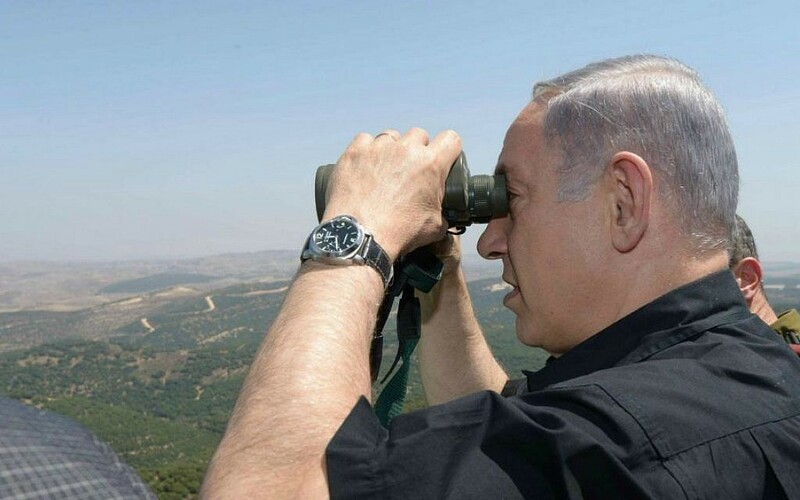 “All is not quiet on the Golan front,” says Ya’alon, “and those who seek for it not to be quiet are the Iranians, who are trying to send proxies to conduct terror attacks against us. Magen David Adom says it is critically low on several kinds of blood, including O-, A-, B- and O+ due to the ongoing heatwave and many Israelis traveling over the summer vacation. The emergency medical organization is calling on the public to make a special effort to donate, as blood supply levels have dropped to the point that hospitals are delaying operations. Blood donations sites nationwide can be found on MDA’s website here (Hebrew link). Those seeking to donate can also call the organization’s blood donations hotline at 03-530-0400. Large groups can invite a mobile MDA blood donation station to them by calling 03-530-0402/69. DAMASCUS, Syria — Syria accuses UN special envoy Staffan de Mistura of bias and says his recent statements condemning deadly government airstrikes on a market that killed some 100 people show he lacks objectivity. The spat coincides with the UN Security Council endorsement of a recently announced plan by de Mistura aimed at setting the stage for new peace talks to end the country’s four-year-old civil war. It is not the first time that the Syrian government has accused de Mistura — and other UN envoys before him — of prejudice in the Syrian conflict. In a statement Monday, de Mistura condemned the government air raids in the eastern Damascus suburb of Douma, one of the deadliest since Syria’s crisis began in March 2011. Six F-16 fighter jets arrived at a Turkish air base last week and began flying missions against the IS group over Syria. President Reuven Rivlin sends a letter of condolence Tuesday morning to Egypt’s President Abdel-Fattah el-Sissi over the death of his mother. TIANJIN, China — Thunderstorms Tuesday complicate recovery efforts from last week’s massive explosions at a warehouse in China’s Tianjin port that killed at least 114 people, left 57 missing and exposed dangerous chemicals — including some that could become flammable on contact with water. Experts express concern that rain could spread some of the vast quantities of hazardous material at the site or set off chemical reactions sparking further explosions. Rain begins falling mid-morning local time, but there is no immediate word of new blasts. Underscoring the weakness of China’s system of industrial safety, the head of the national organization responsible for those efforts is placed under investigation for suspected “severe violation of discipline and law” — standard shorthand for corruption — the ruling Communist Party’s anti-graft watchdog says Tuesday. No details are given about the allegations against Yang Dongliang, who was appointed head of the State Administration of Work Safety three years ago and also worked in state industry and local government in Tianjin for 18 years, including as a vice mayor from 2001 to 2012. Egypt opens its border crossing with Gaza for four days. It is the first time in two months that Egypt has opened the Rafah crossing, on the Gaza Strip’s southern border, according to the Associated Press. Palestinians may enter and leave Gaza through the crossing. More than 20,000 Gaza Palestinians have applied for permits to exit Gaza, according to AP, and students and those seeking medical care are expected to be allowed to leave. Rafah is Egypt’s only border crossing with Gaza, while the rest are controlled by Israel, which does not let Gazans enter its territory save for some medical cases. The Rafah crossing has been open for only 15 days this year. Temperatures in Israel top 43° Celsius (110° Fahrenheit) as the country experiences its hottest August in five years. This week, temperatures across Israel rose above 38°C (100°F). The Sea of Galilee shore town of Tzemach experiences heat of 44°C (111°F) degrees, while the temperature in the Jordan Valley settlement of Gilgal reached 46°C (115°F), according to the Ynet news site. The Meteorological Service says it was the hottest August since 2010. JOINT BASE LANGLEY-EUSTIS, Virginia — Faced with escalating aggression from Russia and China, the Pentagon is planning to increase its use of drones by about 50 percent over the next several years. The Pentagon decides to add Army and civilian-operated missions to the mix because the Air Force, which had been running about 65 combat air patrol missions a day, asked to decrease that number to 60 to reduce stress on the force. But 60 patrols don’t come close to meeting the demands of top military commanders facing growing security threats around the world. Senior US officials say that while drones have been used largely to target terrorists and collect intelligence over combat zones, those needs may shift in the coming years. 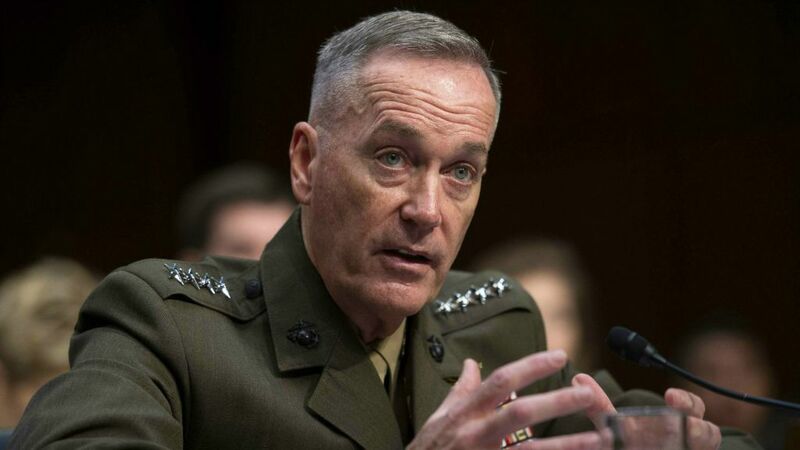 Top military leaders, including the incoming chairman of the Joint Chiefs of Staff, Gen. Joseph Dunford, name Russia as the nation’s most serious security threat. And China’s rising military power and island-building program in the South China Sea increases tensions and prompts a greater demand for US surveillance and intelligence across the Pacific. JUBA, South Sudan – South Sudan’s government slams a peace proposal that they are under intense diplomatic pressure to sign after rebels agree to the deal to end the country’s brutal civil war. “We strongly believe that this document cannot save the people of South Sudan,” Information Minister Michael Makuei tells reporters, as President Salva Kiir returns home from peace talks in Ethiopia. “It is a sellout, and we will not accept it,” Makuei says, adding the government would now discuss the deal with the people for 15 days. With diplomatic frustrations at breaking point over a conflict that has cost tens of thousands of lives, the international community has threatened sanctions if a deal is not reached by the end of Monday, urging the government to sign it. The Tel Aviv Labor Court is set to hear an appeal by a soccer players’ union against holding National League games on Saturday, the Jewish Sabbath. The appeal comes from The New Organization of Football Players in Israel. If the court grants the request even on a temporary basis, it would delay this Saturday’s game between Ashdod FC and Hapoel Bnei Lod. Opposition leader Isaac Herzog says Israelis and Palestinians can be at peace within two years if the leaders on both sides begin a “brave” dialogue. 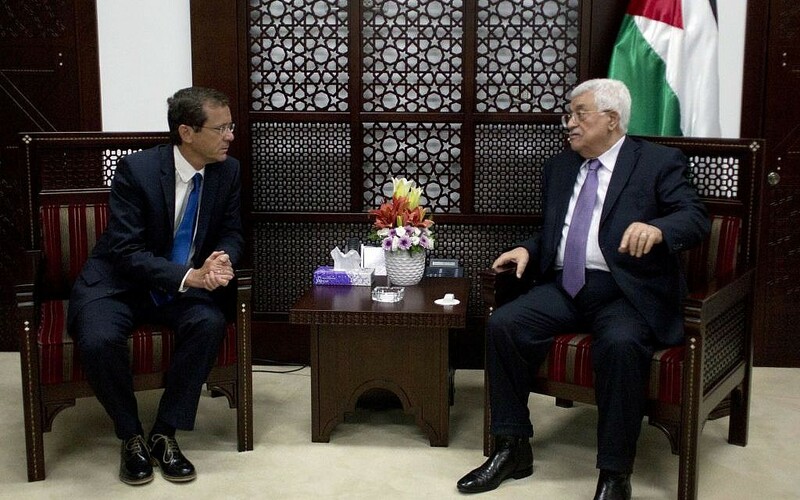 In a meeting with Palestinian Authority President Mahmoud Abbas in Ramallah, Herzog says, “We must give hope to the [two] peoples by restarting the brave moves that will bring us back to negotiations, in a way that will obligate the leaders and also the peoples to conduct a renewed, brave dialogue. “I’m convinced that if there is a will, it is possible to reach an agreement that will ensure the security of Israel within two years,” he says. An Iranian television network, Al-Alam, broadcasts interviews with Fatah fighters in Gaza in which they ask Tehran for assistance in their efforts to attack Israel. The fighters belong to the Gaza branch of Fatah’s armed wing — and recognized terror group — the Al-Aqsa Martyrs’ Brigades, Palestinian Media Watch says. Al-Alam interviews them from inside an attack tunnel in Gaza which they claim stretches 3.5 kilometers and opens inside Israel. The fighters “said that the weapons in their hands and their preparations for confrontation with the Israeli enemy are what give them reason to live,” a narrator says, according to a PMW translation of the June 29, 2015 broadcast, which was also carried on the independent Palestinian station Wattan TV. “We spend all our time trying to get money to fulfill our duty concerning our occupied lands and liberate them from the Zionist entity. This is why we are asking [for money]…especially [from] Iran, which is a known long-time supporter of the resistance and the Palestinian cause,” says one fighter. A Palestinian laborer is hospitalized for heatstroke at Ashkelon’s Barzilai Medical Center after collapsing in a field. The 28-year-old man is said to be in moderate condition. He was employed as an agricultural worker in Sdeh Moshe, in the Lachish region in central Israel. Israel is experiencing the hottest August since 2010, the Meteorological Service says, with temperatures reaching as high as 46° Celsius (115° Fahrenheit) in parts of the country this week. ISTANBUL — Muslim scholars and environmental advocates from about 20 countries call for a global phase-out of greenhouse gas emissions by mid-century, joining a chorus of religious leaders urging the world to take strong action against global warming. Participants in a seminar in Istanbul say it was the first declaration of its kind from Islamic leaders, a voice many say has been missing from the debate on global warming. About 60 delegates adopt the declaration Tuesday at the end of the seminar, including leading clerics from Indonesia, Uganda, Lebanon and Bosnia. However, some influential Islamic leaders are absent, including Turkey’s top cleric, who didn’t even send a representative. Firefighters manage to contain a blaze near the village of Aminadav southwest of Jerusalem. Seven teams worked to contain the forest fire, the latest in a series of fires to hit Jerusalem’s forests in recent weeks as the country is hit by multiple summer heatwaves. Police are searching for evidence to determine if the fires are occurring naturally, or are the result of arson. A Tel Aviv man is severely injured after falling seven meters (23 feet) off the side of a building on the city’s Ha’aliyah street. Magen David Adom paramedics evacuated the man, who is in his 50s, to Ichilov Hospital in the city’s center. He was said to be suffering from wounds to his arms, legs and head. CAIRO — Egypt’s state-run news agency says the death toll from a scorching heatwave has reached 106 since last week. The news agency says eight more people died on Monday, mostly elderly citizens, according to the Health Ministry. The region is experiencing a heatwave since late July. Egyptian summers are usually hot, but temperatures this week are soaring to 46° Celsius (115° Fahrenheit) in the country’s south. Temperatures started to decline in the north of the country Monday, but are expected to remain high in the south over the next few days. Those who died include eight patients at a psychiatric hospital north of Cairo and three detainees in a jail, according to officials. A pamphlet distributed in the streets of Haredi neighborhoods in Jerusalem names members of the community who are serving in the IDF and calls on residents to shun them. The pamphlet contains the photos of ultra-Orthodox soldiers from the neighborhood who serve in the Givati infantry brigade. Many Haredi neighborhoods in the capital have seen protests against growing Haredi enlistment in the army. In a letter published on the Daily Beast website, 53 dissidents, many of whom spent time in Iranian prisons for their human rights advocacy, say they “share the world’s hope for a better future but believe that appeasing the Iranian regime will lead to a more dangerous world. Prominent anti-Israel activists in the UK are slamming the Jewish Chronicle newspaper for its coverage of links between Labour party primary candidate Jeremy Corbyn and anti-Semitic individuals and groups. Last week, the Chronicle published seven questions for Corbyn, including about his ties to Holocaust denied Paul Eisen and others, and his support for Hamas and Hezbollah. “Your assertion that your attack on Jeremy Corbyn is supported by ‘the vast majority of British Jews’ is without foundation,” the signatories write. “We do not accept that you speak on behalf of progressive Jews in this country. You speak only for Jews who support Israel, right or wrong. Signatories to the letter include Tony Greenstein, Professor Haim Bresheeth, Abe Hayeem, Miriam Margolyes, Professor Ilan Pappe and Michael Rosen. The letter defends Corbyn’s support for Hamas and Hezbollah, both of which regularly express rabidly anti-Semitic views, including the call in Hamas’s charter for the deaths of all the world’s Jews. Northbound traffic is slowed on Route 6 from the Sorek Junction due to a truck that caught fire in the right lane. A brush fire also began on the side of the highway. Fires are popping up throughout the country as a two-week heatwave continues. Earlier today, firefighters contained a forest fire near Jerusalem. WASHINGTON — The Museum of the Bible, now under construction in Washington, will feature ancient artifacts and treasures from the Holy Land under a new deal with the Israel Antiquities Authority. 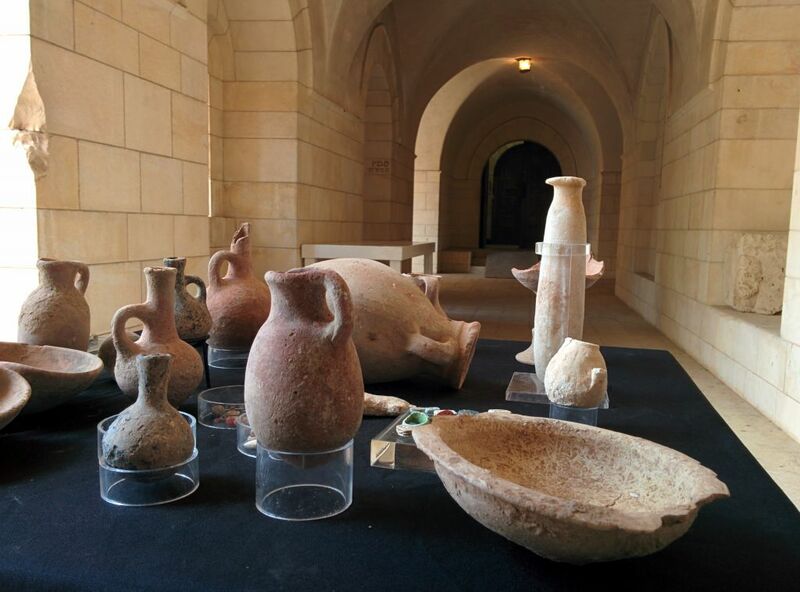 The sides announce an agreement that will bring a selection of artifacts excavated in Israel to be displayed in a top-floor gallery at the Bible museum. The new museum is set to open near the National Mall in the heart of the American capital in 2017. Officials say the specific artifacts to be displayed haven’t been settled. In 1993, the Israel Antiquities Authority exhibited the Dead Sea Scrolls in the Library of Congress in Washington. The Museum of the Bible already holds a collection of rare biblical texts and artifacts. There are cuneiform tablets dating to the time of Abraham, Torah scrolls and rare printed Bibles. Germany says it will have taken in some 750,000 asylum seekers by the end of 2015. Germany is the largest recipient in Europe of refugees fleeing conflict and poverty in the Middle East, Africa and even eastern Europe. EDGARTOWN, Massachusetts — The White House hires its first openly transgender staff member. The White House announces Raffi Freedman-Gurspan’s appointment on Tuesday. Freedman-Gurspan is an outreach and recruitment director for presidential personnel in the Office of Personnel. Transgender advocates say she is the first openly transgender official to serve in the White House. Freedman-Gurspan previously was a policy adviser for the National Center for Transgender Equality’s racial and economic justice initiative. Advocates hailed her appointment as an important step for the LGBT community and for ensuring that the federal government includes the voices and experiences of all Americans. 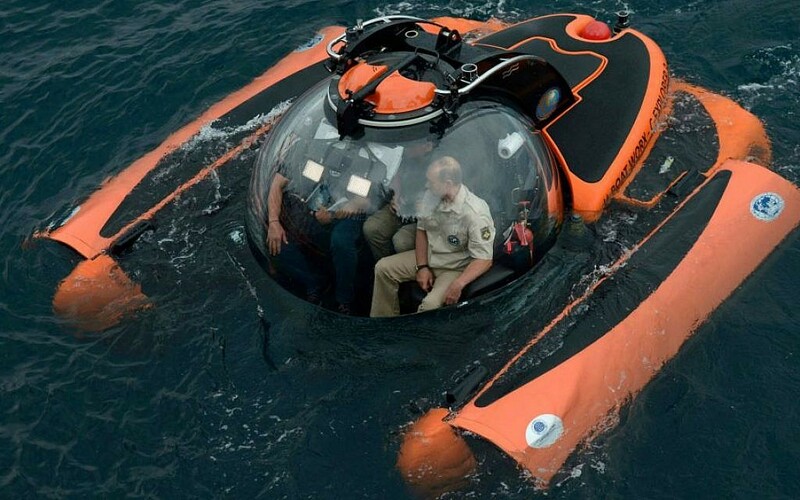 MOSCOW — Russian President Vladimir Putin takes a small submersible craft down to the bottom of the Black Sea to see an ancient ship recently discovered off the coast of Crimea. Putin, who has a penchant for adventurous stunts, previously explored the Gulf of Finland and Lake Baikal in submersibles. In another of his well-publicized exploits, he went scuba diving and brought up ancient Greek pottery shards that his spokesman later admitted had been planted. He dove 83 meters (272 feet) underwater in a three-seat submersible to see the remains of a Byzantine trading ship said to date back to the 9th or 10th century. Speaking by radio while still under water, Putin says he hopes the find would shed light on Russia’s historical development. Hundreds attend the funeral of a teenage girl who drowned yesterday in the Jordan River. Rosalin Abu Rabia, 14, of Nazareth, was found drowned a few hours after disappearing along the banks of the river. She is buried in a cemetery in Nazareth. BAGHDAD — Iraq’s economic troubles continue as the country is ravaged by war with Islamic State and sustained low oil prices. Since early 2014, Iraq has suffered a serious economic decline after the Shiite-led government in Baghdad started losing territory to the Sunni jihadists of the Islamic State group. Low oil prices exacerbated the decline, wreaking havoc on Iraq’s national budget, of which oil revenue makes up nearly 95 percent. As of July, Iraq’s oil revenues stand at &dollar;31.5 billion, according to Oil Ministry figures, with an average daily export capacity less than a 3.3 million barrel quota set in this year’s budget. Iraq’s semi-autonomous Kurdish region now sells oil independently from the central government. Iraq’s &dollar;102.5 billion budget now runs a deficit of about &dollar;21.4 billion. Some &dollar;27 billion is earmarked for defense, but more could be needed. 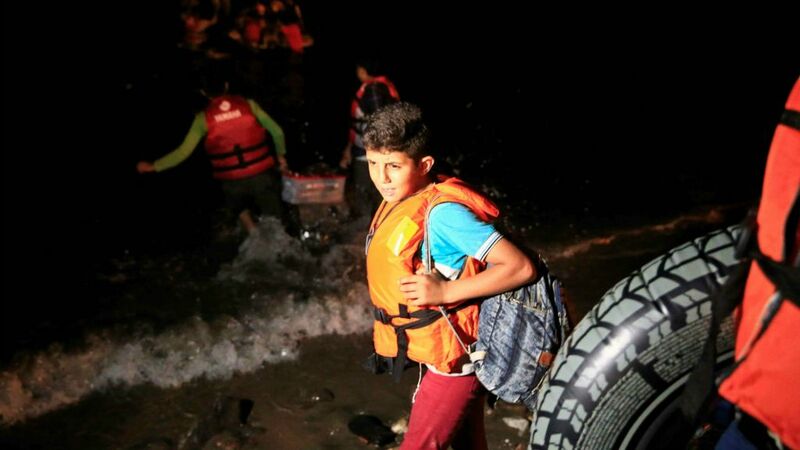 BRUSSELS (AP) — The European Union’s border agency Frontex says the number of migrants entering the EU hit another record in July, with mostly Syrians and Afghans entering Greece from Turkey. Frontex chief Fabrice Leggeri says it’s “an emergency situation for Europe that requires all EU member states to step in.” He urges the EU’s 28 nations to provide more help for members Greece and Hungary. 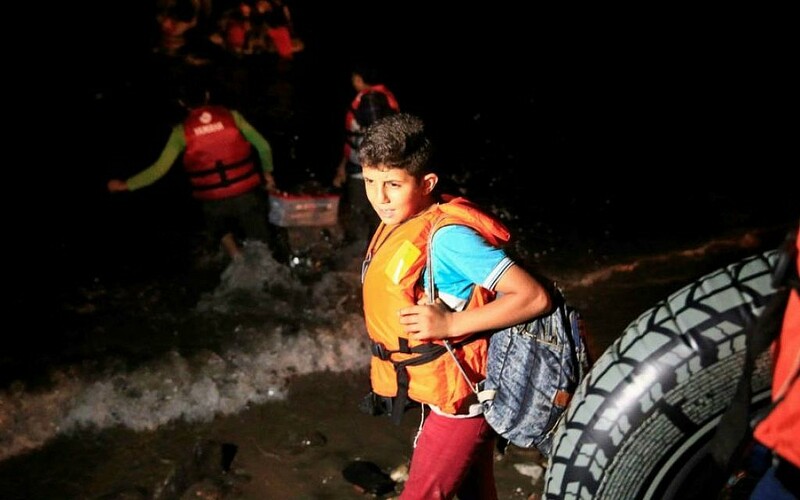 Frontex says 107,500 migrants were detected at EU borders in July — the third consecutive monthly record and the first time monthly entries have surpassed the 100,000 mark. Nearly 340,000 migrants were spotted at EU borders up to July, compared to 280,000 for all of last year. Almost 2,350 migrants have died crossing the Mediterranean this year, according to the International Organization for Migration. WASHINGTON – Bombastic real-estate mogul Donald Trump extends his lead in the 2016 Republican presidential nomination race, beating establishment candidates and anti-Washington renegades alike as he tops a new poll released Tuesday. Trump, who has taken America’s political world by storm ever since announcing his White House campaign in June, leads with 24 percent support, well ahead of second-place Jeb Bush with 13 percent, according to a new national CNN/ORC poll. Despite a broad field of 17 Republican candidates, Trump’s backing is five points higher than in the same poll three weeks ago, prior to the party’s much-watched first major debate earlier this month. Retired neurosurgeon Ben Carson is third, with nine percent, Wisconsin Governor Scott Walker and Senator Marco Rubio of Florida are tied at fourth with eight percent, and Kentucky’s Senator Rand Paul is in sixth place with six percent. BERLIN – Racist crimes surged by almost 40 percent in eastern Germany last year, official data shows Tuesday as the country prepared to host a record number of refugees. The data, which includes attacks against migrants as well as violence targeted at German citizens of foreign origin, also underlines the divide in attitudes between the east and west of the country despite its reunification 25 years ago. Although the east is home to just under a fifth of Germany’s population, close to half of racially motivated crimes were committed there, according to the Interior Ministry’s written response to a question by a Greens party lawmaker. In absolute numbers, that is 61 out of a total of 130 registered racist crimes, and a 40-percent jump from a year ago. The surge in racist violence comes in tandem with the steepest rise in asylum applications — projected to reach up to a record 750,000 this year. 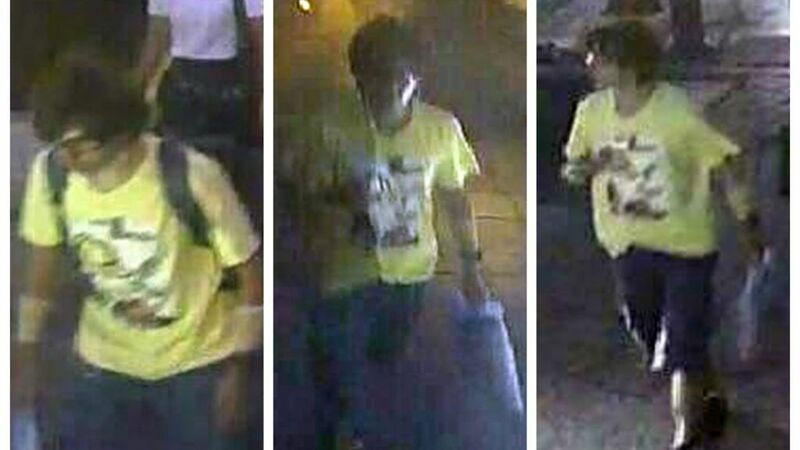 BANGKOK — Thai investigators believe a man seen in security video wearing a yellow T-shirt and carrying a backpack set off the bomb at a central Bangkok shrine on Monday that killed 20 people and injured more than 100, police say. “The yellow shirt guy is not just the suspect. He is the bomber,” police spokesman Lt. Gen. Prawut Thavornsiri tells The Associated Press. Prawut earlier released several photos of the man, with and without the backpack, on social media. The images are apparently taken from closed-circuit video at the Erawan Shrine on Monday evening before the bomb exploded. He confirms that the man is suspected in the bombing. A video posted separately on Thai media appears to show the same man, with youthful shaggy dark hair, sitting on a bench at the crowded shrine, then taking off the backpack and leaving it behind as he walks away. Police arrest the parents of a 22-year-old Bedouin woman found dead last month in an unrecognized village in the country’s south. The parents are suspects in a homicide investigation into the woman’s death launched after a forensic examination on her body concluded she was murdered. The National Teachers Union announces a labor dispute that could lead to a nationwide strike next month. Shelah teachers were excluded from two major reforms that have raised teachers’ wages in recent years. The announcement of a labor dispute must come at least two weeks before the start of a strike. A construction worker is hospitalized for heatstroke after collapsing at a building site in Ramat Gan. Paramedics evacuated the man, 30, to Tel Hashomer hospital. He is in serious condition. Earlier Tuesday, a Palestinian man working in a field near Kiryat Gat is taken to Barzilai Medical Center in Ashkelon, also for heatstroke. Israel is experiencing a heatwave that is seeing temperatures rise as high as 46° Celsius (115° Fahrenheit) in parts of the country. SANAA, Yemen – The International Committee of the Red Cross says it is “extremely concerned” by a growing number of corpses being abandoned in the war zones of Yemen. “With the escalation of the fighting, more casualties are being left behind owing to the increased danger associated with retrieving the wounded and the dead,” says Nourane Houas, head of the ICRC’s Protection Department in war-ravaged Yemen. “International humanitarian law requires that dead bodies be treated properly and with respect,” the ICRC says in a statement. Under Islam, the predominant religion in Yemen, the dead should be buried the same day whenever possible. 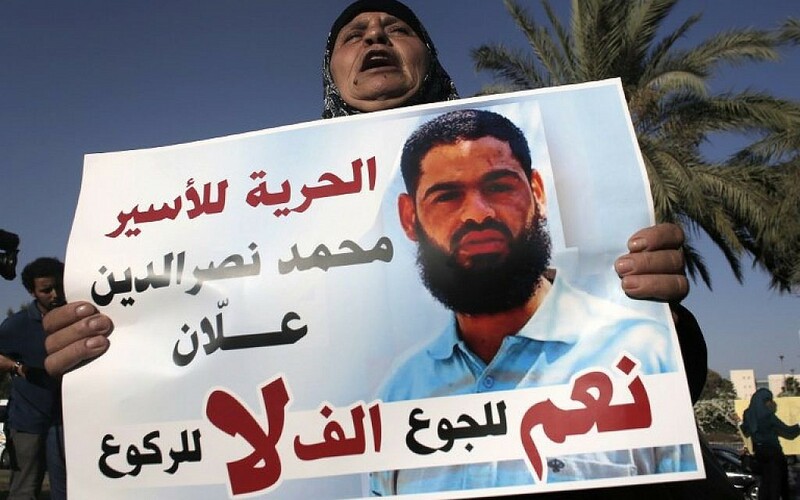 Deputy Defense Minister Eli Ben-Dahan calls to force-feed Palestinian hunger striker Mohammed Allaan. Allaan, a member of the Islamic Jihad terror group, is in the 63rd day of a hunger strike demanding to be put on trial or released. He is held since November under special anti-terror rules called “administrative detention,” which allow holding terror suspects without trial. The Knesset passed a controversial law on July 30 allowing district court judges to order the force-feeding of hunger strikers if their lives are at risk. Doctors have said they would refuse to carry out the practice, which they said violates medical ethics. IDF soldiers are rushing to the scene of a clash between Jewish settlers and Palestinian villagers in the northern West Bank to separate between the groups. According to the Ynet news site, settlers from the Esh Kodesh outpost and residents of the village of Kusra are throwing rocks at each other. The IDF declares the site a closed military zone. PARIS — The Paris prosecutors’ office says an investigation has been opened after one of the hostages in the January terror attacks around Paris accused some television and radio stations of having put his life in danger and sued them. Twenty people were killed, including the three attackers, in the Islamic extremist attacks around Paris that ended with police raids on a printing plant and a kosher supermarket where hostages were being held. At the printing plant north of Paris, hostage Lilian Lepere was hiding in a cupboard under a sink, apparently unknown to the gunmen, when at least three television and radio stations revealed his possible presence. He was eventually released unharmed. Lepere’s lawyer, Antoine Casubolo Ferro, told The Associated Press that the complaint aims to increase media awareness of life-threatening situations. “Delivering information without careful consideration may lead to endanger other’s lives. Journalists must think of it,” he said. On January 9, as the police surrounded the printing plant, lawmaker Yves Albarello revealed on radio station RMC that an employee was hiding in the building. KANO, Nigeria – Up to 150 people drowned in a river or were shot dead fleeing Boko Haram gunmen who raided a remote village in Nigeria’s northeastern Yobe state, local residents say. 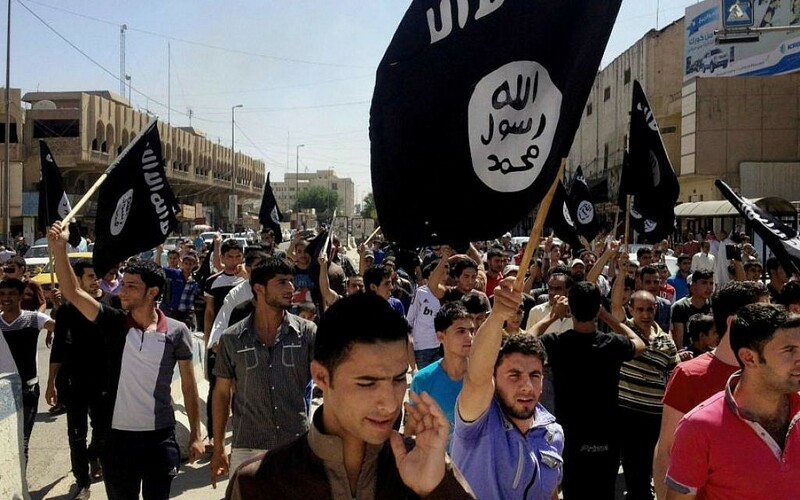 Dozens of jihadists from the group, which has sworn allegiance to the Islamic State terror group, arrived on motorcycles and in a car on Thursday last week and opened fire, scattering terrified residents of Kukuwa-Gari. “They opened fire instantly, which forced residents to flee. They shot a number of people. Unfortunately many residents who tried to flee plunged into the river which is full from the rain. Many drowned,” Modu Balumi, a resident of the village, tells AFP. 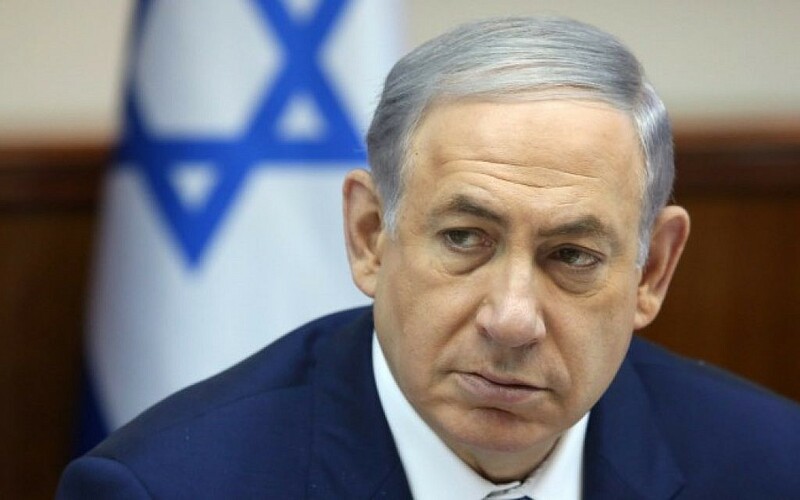 The Foreign Ministry workers’ union says it will hold up processing the latest ambassadorial appointments made by Prime Minister Benjamin Netanyahu. The move is part of a labor dispute between the diplomatic service and the Treasury over low wages. Netanyahu is also the foreign minister. 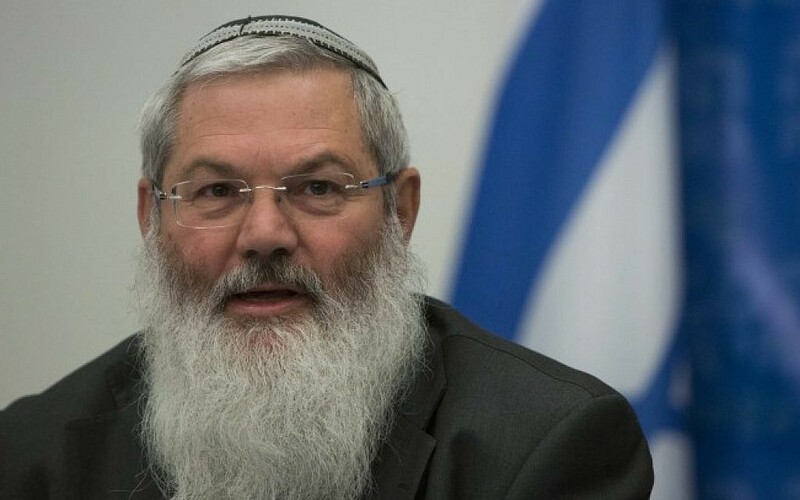 In recent weeks, he has appointed several allies and confidants to key diplomatic posts, including Dani Dayan as ambassador to Brazil, Fiamma Nirenstein to Italy, Mark Regev to the UK and Danny Danon to the UN. If their appointments are not processed, the new envoys will be unable to obtain diplomatic passports to travel to their new assignments. There are 28 Jewish members of Congress: 26 Democrats, one independent who caucuses with the Democrats and one Republican. Nine of them are senators and 19 are representatives. Nine back the Iran deal, seven oppose it and 12 are undecided. The positions of Jewish lawmakers are being watched as Congress decides whether to reject the July 14 agreement between Iran and world powers. The vote, to be held by the end of September, is expected go against the deal. The real question is: Will opponents manage two-thirds majorities in the House of Representatives and the Senate to override President Barack Obama’s promised veto of a rejection? Republican presidential hopeful Mike Huckabee declares the West Bank to be part of Israel. Huckabee makes the remarks Tuesday while visiting a West Bank settlement. He tells reporters, “if you’re going to visit Israel you should visit all of Israel, and that would include Judea and Samaria,” the biblical names for the West Bank, AP reports. Both Democratic and Republican administrations have viewed the West Bank as the site of a future Palestinian state. With the exception of Jerusalem, Israel has not annexed the territory, so it is not part of Israel under Israeli law. Huckabee is in Israel to meet with officials to discuss the nuclear deal with Iran. SOUTH ORANGE, New Jersey — A second Democratic senator says he’s opposed to the Iran nuclear agreement. 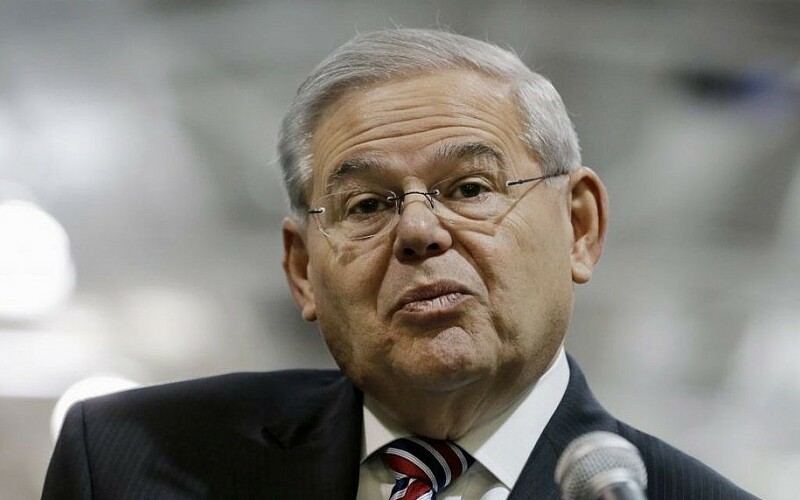 New Jersey’s Bob Menendez says Tuesday in a speech in his home state that he opposes the deal intended to curb Iran’s nuclear program in exchange for relief from economic sanctions. The senior member of the Senate Foreign Relations Committee joins fellow Democrat Sen. Chuck Schumer of New York in rejecting the deal. Menendez says he is opposed to the agreement because Iran has violated various UN Security Council resolutions while advancing its nuclear program. He says he is concerned that the agreement doesn’t require Iran to dismantle its nuclear infrastructure. The Palestinian Authority accuses Hamas of holding secret talks with Israel that would endorse the separation of Palestinian territories. Arab and Turkish media have carried reports, picked up by Israeli media, claiming Israel and the Palestinian Islamist movement that rules the Gaza Strip were holding talks. The talks are reportedly aimed at reaching an eight- or 10-year truce, with Israel removing its blockade on the coastal Palestinian territory. But the Authority weighs in on Tuesday, insisting there are talks that would cause Palestinian disunity. “There have been negotiations and they are on the verge of reaching an agreement about a truce of eight to 10 years,” Palestinian foreign minister Riad al-Malki says. The agreement would see Israel lift its blockade of Gaza and “allow maritime passage” to nearby Cyprus, Malki tells France 24 television. Eric Fingerhut, the president of Hillel International, apologizes to J Street U student leaders for any hurt he caused when he backed out as a speaker at the group’s conference in March. Fingerhut speaks Monday before 122 leaders during J Street U’s three-day summer leadership institute at a conference center in Chevy Chase, Maryland. Fingerhut says he “took a step back” from the conference, which he reportedly pulled out of under donor pressure, when it became clear that his speaking during the J Street U conference could be viewed as an endorsement of the group’s policies.